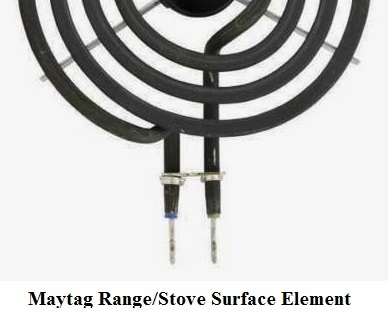 Electric igniters spark the surface burners on a gas stove. When you turn the burner on the igniter produces a clicking or ticking sound which should stop once the flame appears. When you turn on you gas stove’s burner but it won’t quit clicking or ticking there are simple repairs but also difficult parts repairs. Not all repairs are for one model of stove so check your owners manual for your specific model instructions. 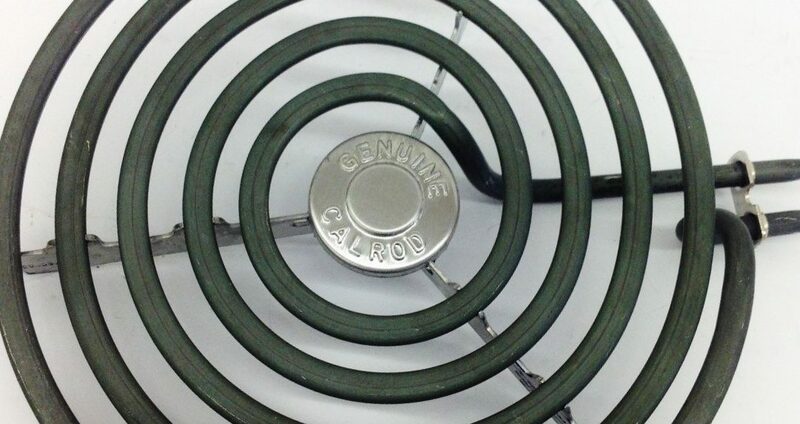 If your burner is clicking but not igniting check to make certain the burner cap is centered on the base. If clicking is still an issue check to determine if any liquids have been spilled on the cooktop or is it possible that there may be a draft in the area. A clicking sound will occur if there is no gas, check to see that the gas supply is open to the burner. If the burner ports on your stove are clogged this may prevent ignition and your ignitor may continue clicking. If that is the problem you can clean out debris and buildup from the ports using a metal pin. If moisture is in the burner ports the burner won’t ignite. Turn off the gas supply and use a hairdryer set on the cool cycle to dry the burners. 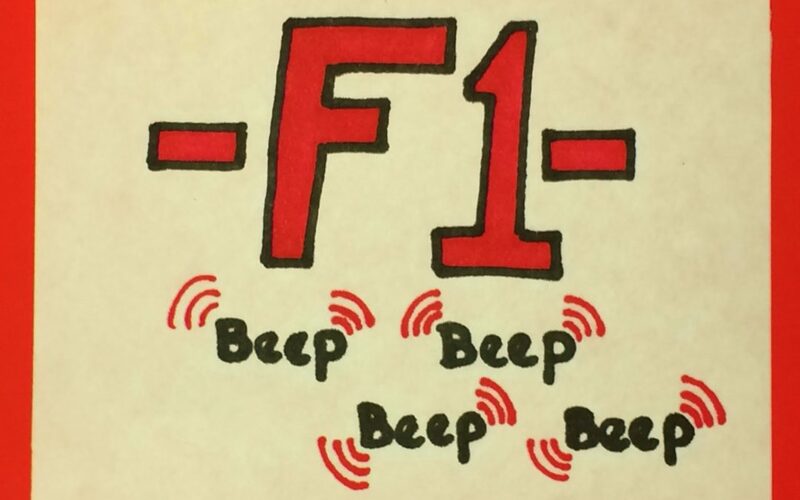 A weak igniter or intermittent igniter spark means you will need a new spark module. If some burners spark but some don’t it’s usually an indication that the spark ignition switch may need to be replaced. Bad spark electrodes can be the cause of constant clicking. This may be something that you may prefer calling a qualified appliance repair person to fix. A convection fan in your oven circulates the air and keeps the temperature more even. It helps cook food faster because the circulating air transfers heat faster to the food being baked in the oven. Replacing the convection fan motor is a relatively simple procedure. Unplug the power cord or turn off the power supply at the breaker box. Remove the oven door by opening the door and pulling both door hinge locks toward you. Raise the door slightly and pull it toward you to completely remove the door. Place the door on something soft with the handle side down. Remove all oven racks then remove all screws from the fan cover. 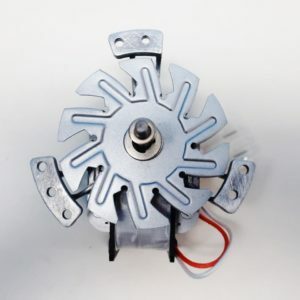 Turn the fan motor assembly around to face you and remove the wires connected to the convection element, disconnect the wire connector for a complete release of the assembly. Install the new convection fan motor assembly connecting the wire connector first then attach wires to terminals and place the assembly on the back of the oven. Replace the fan cover and replace all of the screws around the cover. Replace oven racks and replace oven door by inserting the door hinges into the door slots, holding the door at an angle and lower the door to its fully open position and push the hinge locks forward into place. Plug the power cord back in or switch power supply back on. 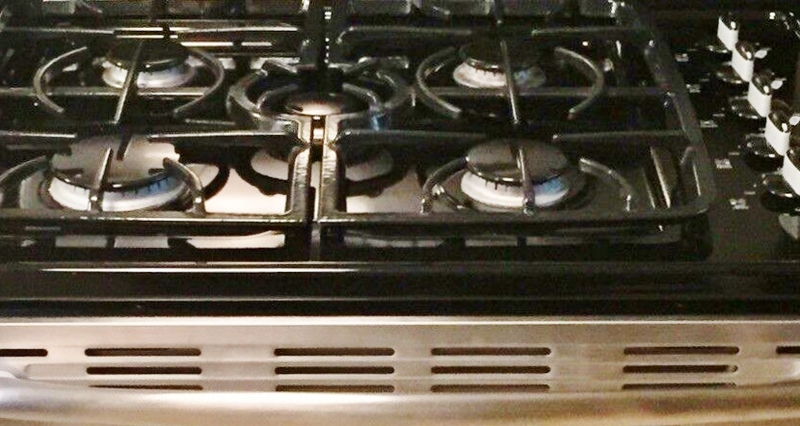 If your GE stove surface element is not heating or functioning properly, this is some repair advice for the most common GE stove/range problems you might have. Always make sure that the surface elements are not hot and have cooled down before handling them. If one of the surface elements has stopped working on your oven or stove/cooktop you can simply do a visual check and see if there is a break in the element or if the element has bubbling, a burned hole or blistering. If the surface element does have visible damage it is likely bad. However, you can’t always tell if an element is good or bad by just examining it with your eyes. Check to make sure that the surface element has not come loose from the terminal block that it is plugged into. Some surface elements simply plug into the receptacle – terminal block requiring no tools for removal or replacement. 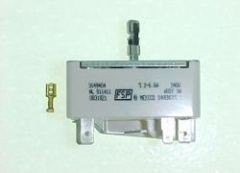 Other elements have a screw attaching them to the receptacle – terminal block. Make sure that the screws are tight and have not come loose, a regular or Phillips head screw driver will be required. If you have checked the element for continuity and it is good, next you need to check the receptacle terminals and wires for obvious damage such as burnt spots, melted plastic, arching or corrosion. If damage is found you need to replace the terminal block with a new one. 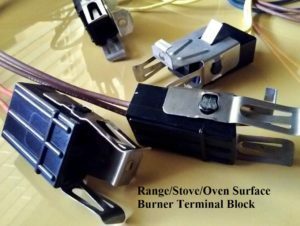 If you have checked the coil element and the terminal block receptacle and have determined that they are both good and in working order, you will need to check the infinite switch – surface burner switch for continuity. It is the switch that the coil element selector knob is attached to on the console or top of your oven/stove, depending on the make and model. If the switch is bad replace it with a new one. Above I have listed the most common reasons why a stove/range surface element will not heat or function properly. 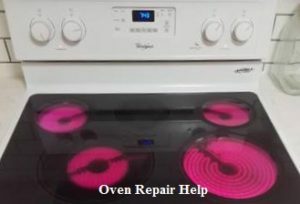 If you are not able to repair your stove/range with the repair help that I have listed above you should call a reputable and qualified service technician who can, hopefully, get your oven back in working order. 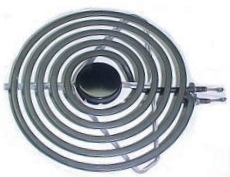 The surface element, also known as the coil surface element, transfers heat to the area on top of range. 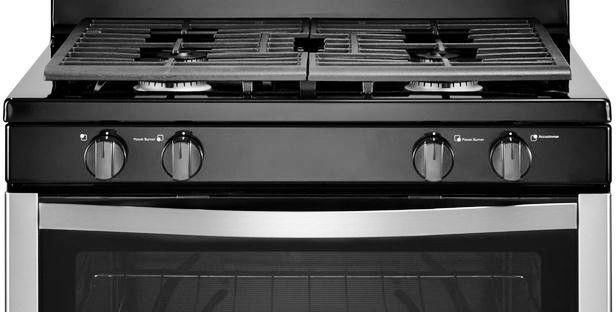 Range and oven bake elements, under normal use, will usually work for eight years or more. Broil units usually hold up much longer. It is not unusual to see stove-oven-range units that are twenty years old or older that have never needed any repair parts. 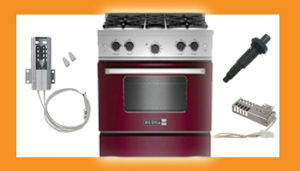 unnecessary oven repair parts expense if you check this out before purchasing new parts. Your oven, range or stove surface unit parts as shown above may start working erratically. range, oven repair parts may not last very long or give proper service. too much heat or no heat. come with the parts kit, along with installation instructions. on the wires to achieve this result.